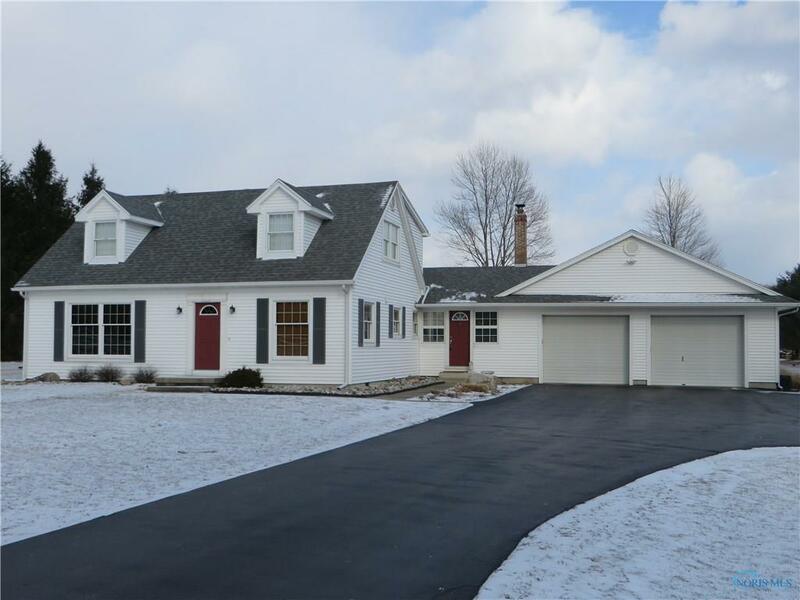 Lovely well-maintained home on 2 acres across from Oak Openings in AW schools. Spacious Fam Rm w/vaulted ceilings & beautiful views! Kitchen features oak cabinetry & gorgeous hardwood floors. Both baths recently updated. You will love the 29x29 heated garage w/extra wide & tall door. Horse lovers; check this out! Large 2 stall barn w/water, electric & 3/4 acre fenced pasture. New furnace 2019.